You can get yourself a free sample of Vahdam tea. All you have to do is signup with your details and then share your unique code with friends for them to signup and you will receive this freebie. 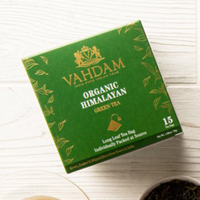 Click GET FREEBIE button and then apply for a chance to receive free Vahdam tea.